For several years, I've been edging up toward becoming something of a Flaming Lips fan. Yoshimi struck me pretty well, but I've been more taken with "A Spoonful Weighs a Ton" and especially their Spongebob song. That brilliant song inspired a modest essay, and caused me to set up a little corner of More Things for them. Just looking for a couple of decorations for their pages, I was really struck by their whole visual presentation. I hadn't realized the significant visual nature of what they're doing. It really adds to appreciating the music, and is definitely increasing my interest in their music. The pictures brought out and concretized some contrasting things about the band. Primarily, the band has struck me as gentle and childlike. 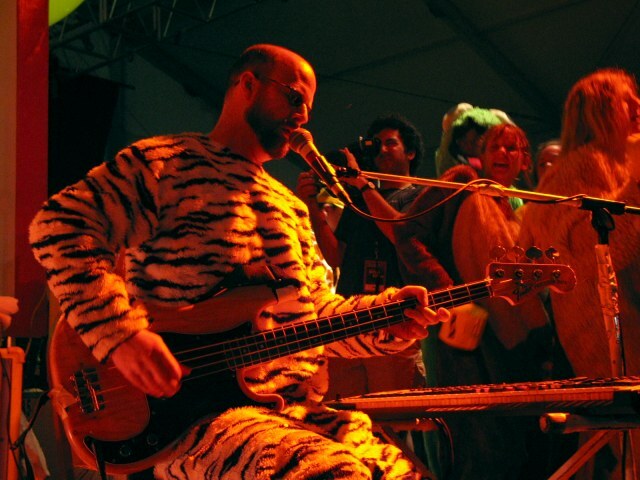 The lack of vulgar language or sexual display makes this a very child-friendly band, for one thing. 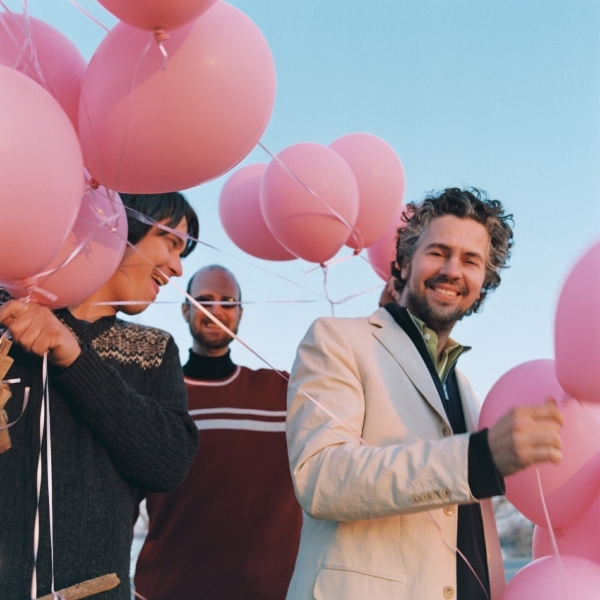 This beautiful simple image of the band with some big pink balloons is my favorite. 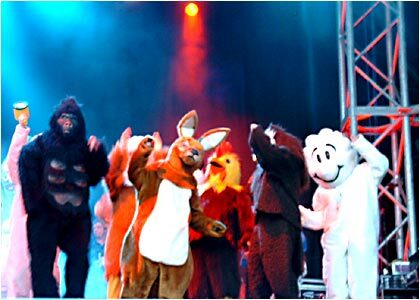 The childlike nature of their vision comes expressed with lots of friendly costumes around their stages. 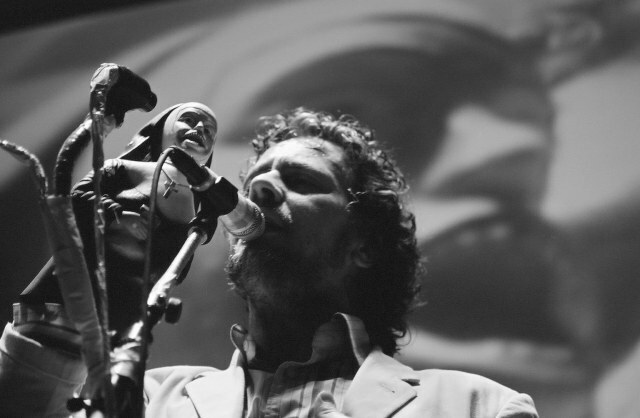 This image of Wayne Coyne hugging the sun is a good indicator of their beneficience. 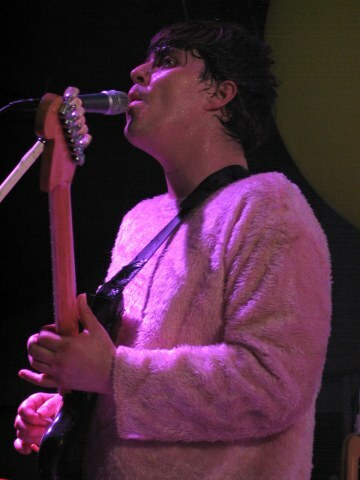 Band members themselves seem to be wearing animal costumes about half the time. But the Flaming Lips aren't all cutesy, there are darker things going on under the pretty surfaces of many of their songs. They seem to have an underlying sense of physical fragility, an existential awareness of suffering or death always just around the corner. As pretty as it is, consider the underlying emotional depths of stuff like "Gash." 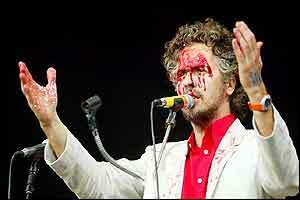 Thus, it's not surprising to see Wayne Coyne in a few photos with his face covered in "blood." Whatever their particular demons, the Flaming Lips have transubstantiated them into some of the prettiest sad songs ever, particularly "A Spoonful Weighs a Ton." This artistic sensibility may explain their interest in "Somewhere Over the Rainbow," perhaps the prettiest sad song ever. With all this talk of sadness and vulnerability over the rainbow, I fear that I make them sound like weenies. 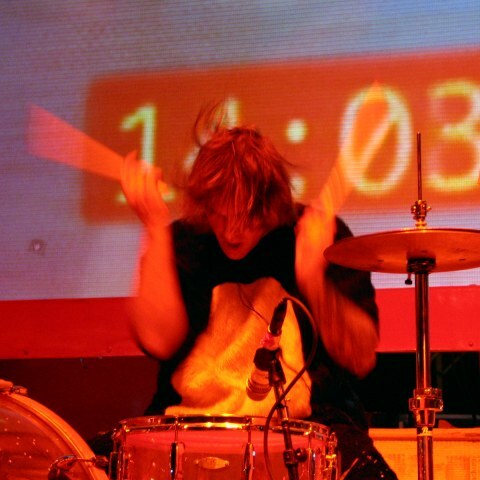 They have some idea of how to apply a light touch, but this is ROCK band, and they know how to put down a heavy groove. The bottom end of "A Spoonful Weighs a Ton" makes it an extra good direct physical feeling in the car, with the bass playing right into the ankle like a spiritual massage. "Buggin'" just SLAMS most righteously. 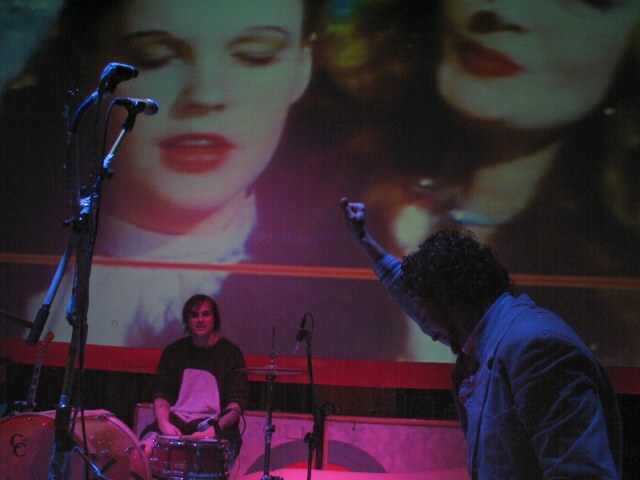 My search for a couple of pictures quickly turned into an all day meditation - and a 20 page Flaming Lips photo gallery. And that's how a day gets right away from me. Time well spent, I say. As will be yours if you meditate on these images while listening to some Flaming Lips. "Spongebob & Patrick Confront the Psychic Wall of Energy"